We want to provide a further update on what to expect from Medline during this uncertain period surrounding the Brexit negotiations. Since our last update, Medline’s Brexit mitigation plans have also been more thoroughly defined to ensure continuity of supply to all healthcare providers in the UK. 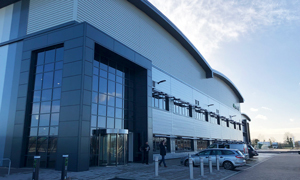 Following the Brexit deadline of 29 March 2019, we will switch our supply to our warehouse in Bicester, Oxfordshire. We are currently holding approximately six weeks of stock of the most critical items. Wherever possible, we will ship full orders from this warehouse. Approximately 95 per cent of all UK products are now in Bicester. However, there may be some low running items that are only centrally available in our German warehouse. This could mean customer’s orders will be split into two or more shipments and come from more than one location. In the case of a no-deal Brexit or issues with border crossings, this could result in a delivery delay to our customers for the small percentage of products serviced from our German warehouse. We want to make our customers aware of potential order splitting and potential delays in the delivery of low running items now in order to avoid any confusion during the Brexit period. We will endeavour to keep any disruption to an absolute minimum and, wherever possible, will inform our customers of this prior to the shipment of orders. There will be no changes to the ordering process itself, and customers should continue to send orders to Medline Customer Services via the normal route. Should customers require further information or details on a specific order, they can contact our Customer Services team on 0800 151 3587 or via email on [email protected]. Medline will continue to monitor the situation closely and will provide further updates as and when appropriate.